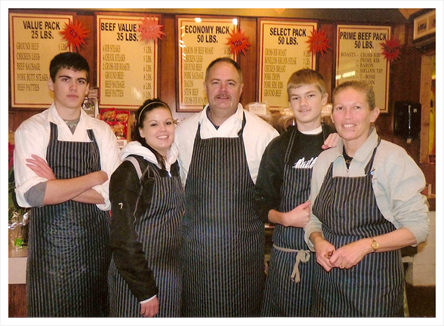 Since 1970, Davis Quality Meats has been a family owned and operated retail butcher shop located on Mt. Lehman Rd., serving both the urban and rural community. Owners, Dale & Diane Herbert have proudly expanded their business by providing high quality meat products at competitive prices. The friendly & knowledgeable staff strive to produce quality products from the sausage kitchen and smokehouse to maintain the high standards their customers have grown to expect. The beef is selected from Canada AA or higher and is hormone-free and naturally aged on the rail a minimum of 14 days, to ensure maximum flavour and tenderness.